PASCO, Wash. -- A movement to breach the Snake River Dams is causing controversy and Tri-City neighbors had the chance to voice their opinions at a public meeting happening. Input on flood risk management, power generation, navigation, fish and wildlife, and recreation was discussed. 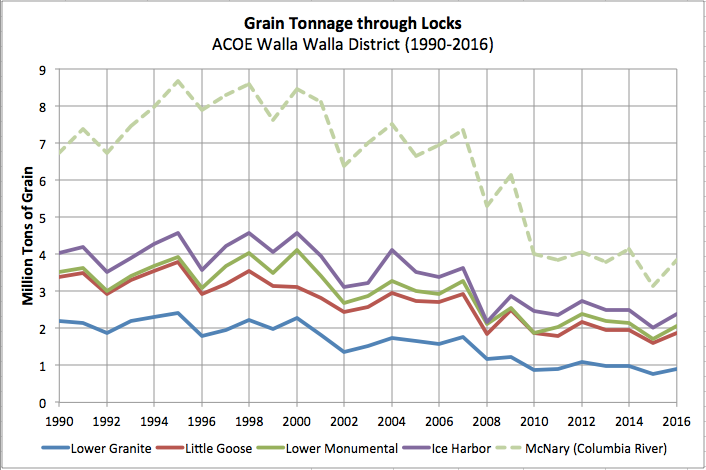 Experts say whales rely on fish from the snake river during winter, and the dams are causing fewer fish to reach open water. Supporters of the dams say the electricity coming from the dams helps with transportation of crops and needed irrigation. Tridec and other local groups held their own press conference to show support for the Snake River Dams just before this meeting. "They really fuel our agribusiness. All of the traffic that's able to go on the barge system to keep all of our crops and everything that's grown here," said Tri-City Chamber of Commerce President Lori Mattson. "I'm sure people have lots of ideas of how we can operate differently or perhaps configure the dams differently or other options and what we would ask is for them to come and talk to us. We can tell you how we currently do it so that then you can make comments and provide what you think is the right way to do it. What issues are important to you and make those kind of suggestions," said Columbia River Systems Operations Program Coordinator Rebecca Weiss. If you have comments and input, send them to CRSO.INFO. Local Groups Support Snake River Dams, Against Breaching of Dam <-- Watch at original site.